The United States Modified Touring Series (USMTS) is the fastest growing and most popular open-wheel dirt modified touring series in the world. Attracting some of the most talented and professional drivers in North America, the fan friendly format and exciting show creates an enthusiastic and loyal fan base, and the USMTS routinely competes in front of capacity crowds. With no less than 20,000 men and women competing nationwide on any given weekend, the modified is by far the most popular and most widely-used type of race car circling America’s dirt tracks today. And when it comes to a touring series that features the Best of the Best in dirt modified racing, the USMTS has no equal. Embarking on its 20th season in 2018, the USMTS is the ultimate playground for the nation’s hottest drivers, while the USMTS rulebook allows for close competition and inclusion among local racers. More than 700 different drivers from 29 states took part in USMTS events in 2017 as the rugged road warriors staged more than 80 blockbuster events at 43 unique venues in 13 different states throughout America’s heartland. In 1998, Todd and Janet Staley acquired the fledgling five-year-old United States Modified Series (USMS) and began racing under the USMTS name in 1999. In the sixteen seasons since then, the USMTS has doled out nearly $20 million in prize money to more than 4,600 different drivers while traveling to 181 different venues in 19 states. During the first eight seasons, one driver emerged as the USMTS National Champion: Kelly Shryock of Fertile, Iowa. A second-generation racer (his father, Bob, won more than 300 races during his career), Shryock won his first two USMTS national titles without capturing a single main event win. Since then, however, he has been the most prolific driver on tour with more than 170 career victories and an unprecedented ten USMTS championships, including nine national titles and the 2007 USMTS Southern Series crown. In 2007, Jason Krohn of Slayton, Minn., captured his first USMTS National Championship, snapping Shryock’s string of titles at eight. In 2008, it was Tim Donlinger of Rochester, Minn., taking the crown after a thrilling season finale during the Featherlite Fall Jamboree at the Deer Creek Speedway. Shryock bounced back in 2009 to capture his ninth USMTS National Campionship after holding off Ryan Gustin and Jason Hughes right up until the checkered flag of the final race. Hughes, from Colcord, Okla., rebounded to capture his first USMTS National Championship in 2010 and won his third Featherlite Fall Jamboree main event to cap off a near-perfect run in the Hunt for the USMTS Casey’s General Stores National Championship. The 2011 campaign saw a star born as 20-year-old phenom Ryan Gustin of Marshalltown, Iowa, recorded the second-most wins in a single season and became the youngest driver to capture the most coveted prize in all of dirt track racing. Fans and competitors alike took notice of the ‘The Reaper’ late in the 2008 season when he snagged his first career USMTS victory at the Highway 3 Raceway in Allison, Iowa, to become the youngest winner in USMTS history at 17 years, 10 months and 13 days old. It was sweet vindication for Gustin after two straight seasons of runner-up finishes despite entering the final weekend of competition with the title within reach. Gustin won 25 times in 2011 and led 750 main event laps compared to his closest competitor, Shryock, who led 287. Gustin repeated the feat in 2012... twice! At 21 years of age, Gustin captured both the USMTS National Championship Series title as well as the first-ever USMTS Casey's Cup Series crown to join Shryock as the only other multi-time champ. His earnings for the 2012 campaign eclipsed the $200,000 mark—yet another record for the rising star of the dirt modified racing world. With the final points race of 2013 coming down to three drivers on the final night, another rising star—Rodney Sanders—bested Johnny Scott and Hughes by a mere eight points to earn his first USMTS National Championship. The 23-year-old from Happy, Texas, not only emerged as the first racer from the Lone Star State to capture the crown, but recorded a remarkable 13 top-five and 16 top-ten finishes in 17 starts during the Hunt for the USMTS Casey’s Cup. Another even younger racer made a name for himself in 2013 as Trevor Hunt of Kearney, Mo., clinched the USMTS Rookie of the Year Award in late August. At 14 years of age, Hunt became the youngest driver to qualify for a USMTS main event (he qualified for 43 feature races overall) and the youngest to earn the rookie title. Sanders returned to form in 2014 and earned his second straight USMTS National Championship while putting forth one of the greatest individual efforts in series history. He won a total of 29 times, including King of America IV ($10,000), World Modified Dirt Track Championship ($20,000) and Fall Jamboree ($17,000), plus preliminary feature wins at all three as well as the Halloween Havoc and USMTS Winter Nationals. Repeating his feat from 2010, Jason Hughes was celebrated as the 2015 USMTS national champion following one of the most exciting points races in the history of the series. He blended together experience and hard work with a dash of good fortune in producing a nearly flawless effort in winning the opening night of the Featherlite Fall Jamboree to clinch his second USMTS title. Hughes entered the night with a delicate four-point lead over two-time defending USMTS national champion Rodney Sanders, but proceeded to go uncontested as he led every lap of the main event to secure the win and the USMTS crown. Hughes returned to win all three regional titles in 2016 and led the points through all but one night during the first 16 events in The Hunt, but a tight race existed going into the final points race of the season. It was a battle for the ages on opening night of the 18th Annual Featherlite Fall Jamboree, as Cade Dillard of Robeline, La., took the feature win but came up three points short of his first USMTS title while Hughes claimed his second straight title and third overall. Once again in 2017, Hughes was in the driver’s seat coming into the Fall Jamboree weekend, but 2012 USMTS Rookie of the Year Stormy Scott of Las Cruces, N.M., still had a puncher’s chance. In a repeat of opening night at the previous year’s Featherlite Fall Jamboree, Dillard won the battle but Hughes won the war. This time, however, Dillard was not under the pressure of having to outrun Hughes for the chance at becoming the USMTS national champion, and Hughes needed no late-race heroics to hang on to his crown. When the night began, Stormy Scott was the only remaining driver within striking distance of Hughes in the USMTS Hunt for the Casey’s Cup. Scott had to finish first or second and hope Hughes would have trouble in order to claim the title. 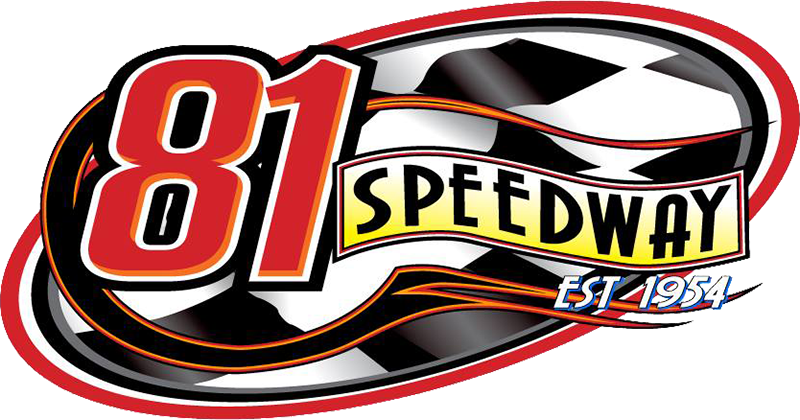 Scott started eighth on the grid while Hughes took off from the 14th starting spot in Thursday’s 32-car, 40-lap main event at the high-banked Deer Creek Speedway. Scott was never a factor in the race, finishing sixth while Hughes kept Scott in his sights the entire distance in the caution-free affair to clinch his third straight USMTS national championship and fourth in eight seasons. In the final points standings, Hughes bested Scott by 38 points. Dillard finished third, followed by Ramirez, Gustin, VanderBeek, Jake Timm, R.C. Whitwell, Travis Saurer and Ricky Thornton Jr. Whitwell also locked up the 2017 Grant Junghans USMTS Rookie of the Year Award.